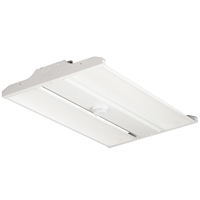 This item is part of Energetic Lighting LED High Bay Linear Light series. It is an ideal item for general, exhibit, and architectural lighting. You will be expected to receive 50,000 life hours for this product. 321 watts.